A novel of seduction, abandonment and villainy, Charlotte Temple was initially published in England in 1791 before making its American debut in 1794. 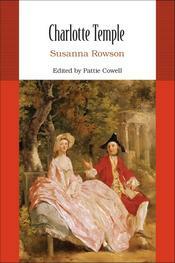 Susanna Rowson's short novel became the first bestseller in America and its most popular novel until Uncle Tom's Cabin, and has gone through more than 200 editions. This Bedford College Edition is based on the 1794 edition, and features editorial matter that engages key questions for responding to the novel, including those of genre, authorship, book history, gender, sexuality, family, class, and community. This title is available in print or as a Bedford e-Book to Go.